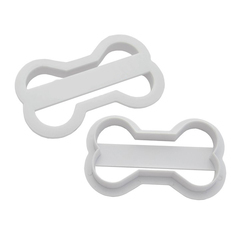 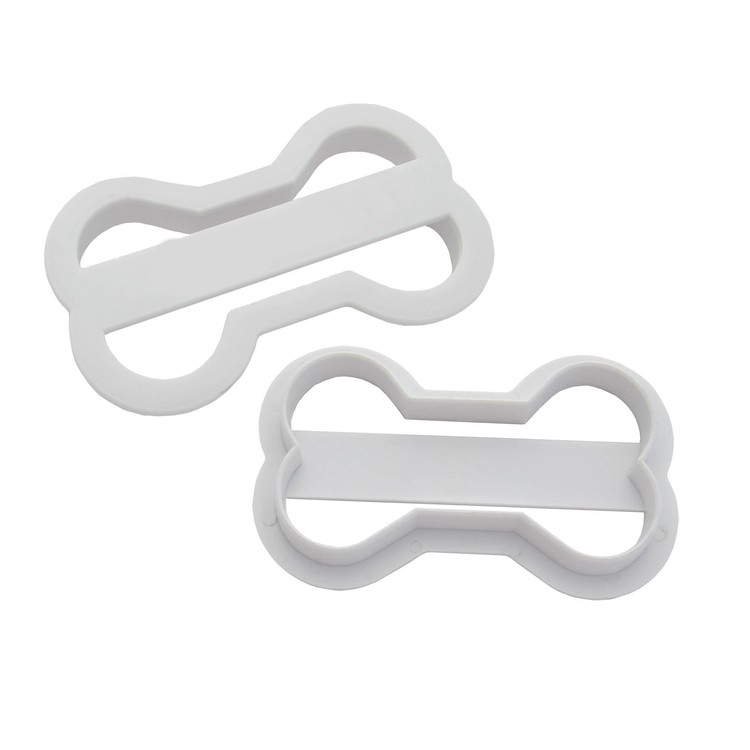 Plastic bone shaped cookie cutter price includes a pad printed, 1-color on one location imprint. 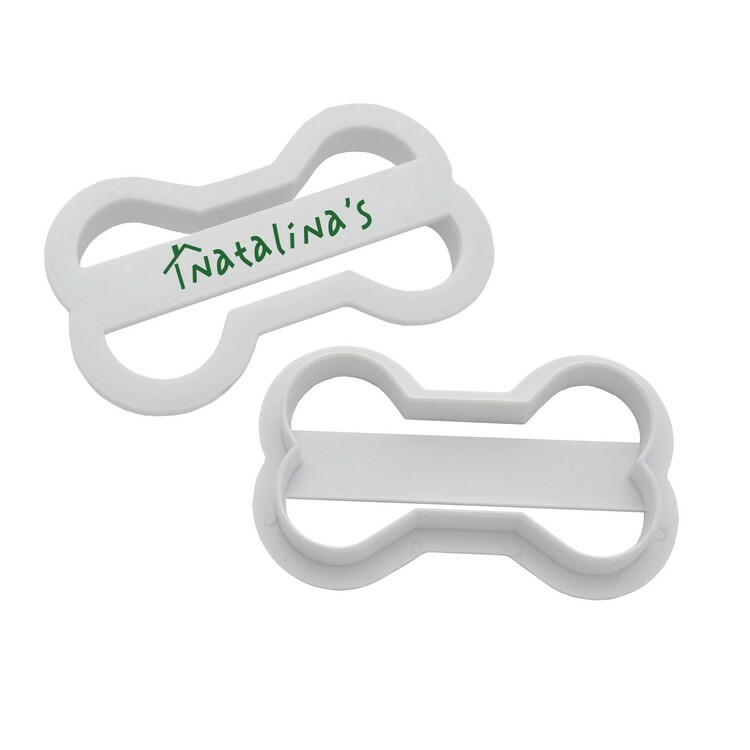 Size: 4-1/4" x 2-3/4" x 1/2"
Imprint Area: 3.25" x .4375"
Packaging: Bulk. 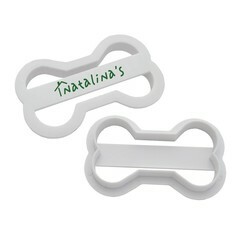 100 units = 4 lbs.